"I wanted to tell you we are loving the 180° Tube Bender we bought from you a couple of years ago. It has really enhanced my curriculum and we are building some pretty cool stuff. 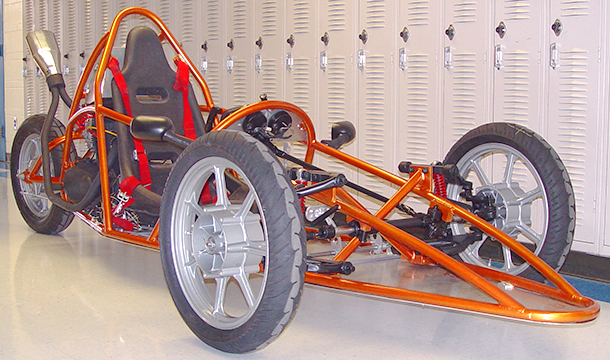 One project is an inverted trike named "Scorpion". 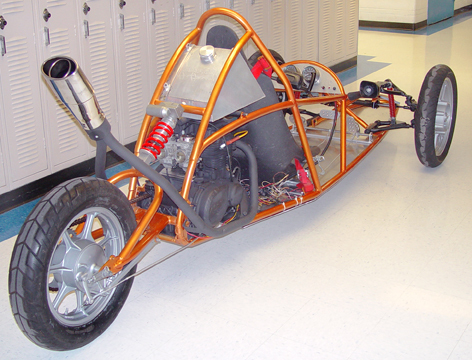 It has two front rims, one rear and is powered by a 440cc Kawasaki engine.The student who is building this vehicle for his Senior Project is Mike Finklang who attends Lindbergh High School part time and is enrolled in my Precision Machining Program here at South Technical High School." Great Use Of Our 180° Tube Bender, Keep Up The Hard Work.